Spring is here, and it’s time for a little spring cleaning. This year, while you’re cleaning under the couch, reorganizing the garage and raking the yard, why not tidy up your important papers too? We all accumulate a lot of documents over a lifetime — things like birth certificates, diplomas, deeds, wills and insurance policies. 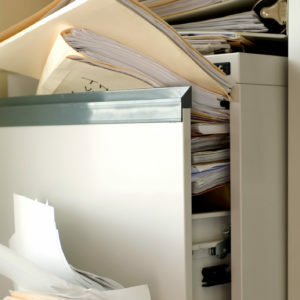 If you’re like most people, you probably have papers stuffed in drawers, filing cabinets or boxes in the attic. If you ever needed an important document, do you think you could find it? What’s more, if something happened to you, will your loved ones be able to find what they need to get your affairs in order? Your important documents and contact information should be kept in a secure place in your home. These items should include personal documents, such as your passport, birth certificate, marriage certificate, will and burial instructions. 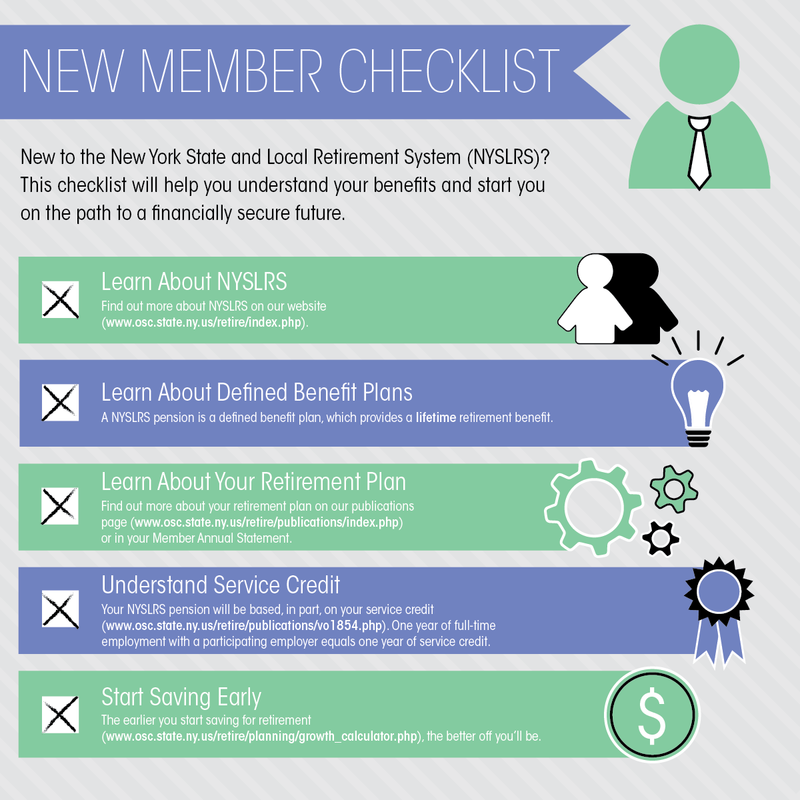 Also include information about your retirement, income taxes, bank accounts, credit card and online accounts. And don’t forget the names and phone numbers of your attorney, accountant, stock broker, financial planner, insurance agent and executor of your will. To make this a little easier, we’ve developed a form called Where My Assets Are. 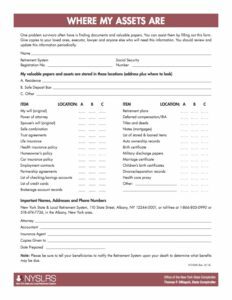 This form can be used as a checklist to help you organize your important papers. It will also help you or your loved ones locate these documents when they are needed. It is a good idea to review and update this information regularly. You should be aware that your safe deposit box may be sealed when you die. Don’t keep burial instructions, power of attorney or your will in a safe deposit box because these items may not be available until a probate judge orders the box to be opened. However, a joint lessee of the box, or someone authorized by you, would be permitted to open the box to examine and copy your burial instructions. Content last revised March 22, 2017. 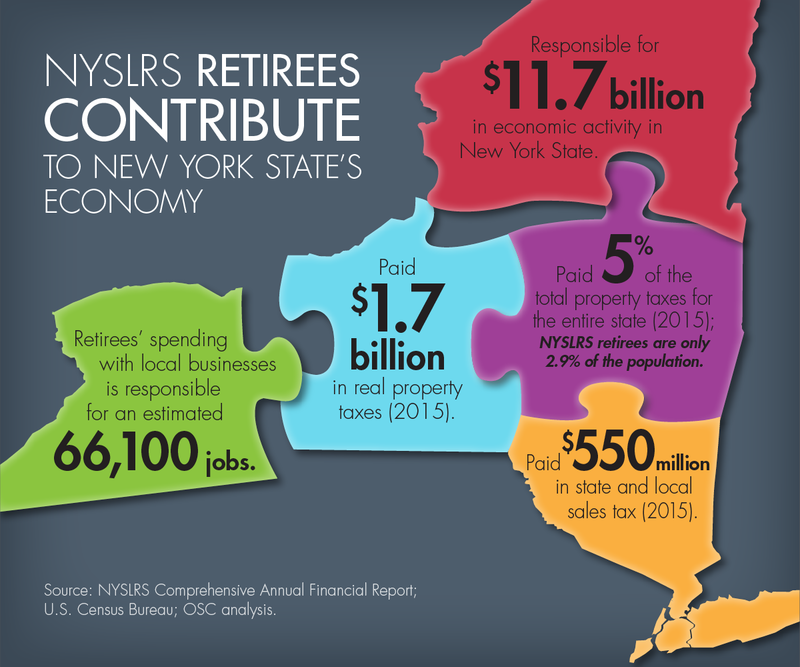 This entry was posted in General News, Members, Retirees and tagged Asset Checklist, ERS, Getting your affairs in order, important papers, Information is the Key, members, New York State & Local Retirement System, NYSLRS, NYSLRS Retirees, PFRS, Power of Attorney on March 22, 2017 by NYSLRS.